The EnQ Aloe vera Gel comes with natural anti-inflammatory and cooling properties which is a perfect remedy for sunburns. Aloe Vera gel has a natural skin hydrating factor and works as a nongreasy moisturizer making your skin soft. It is rich in Vitamin E and C along with Beta Carotene having anti aging and antiseptic properties. 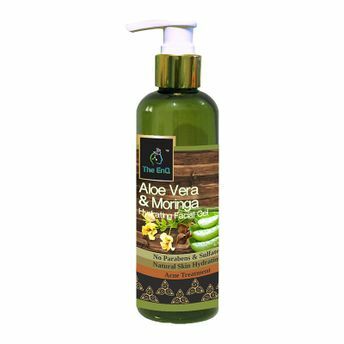 Antimicrobial benefits of this Aloe vera Gel effectively treats acne skin infection & scars .